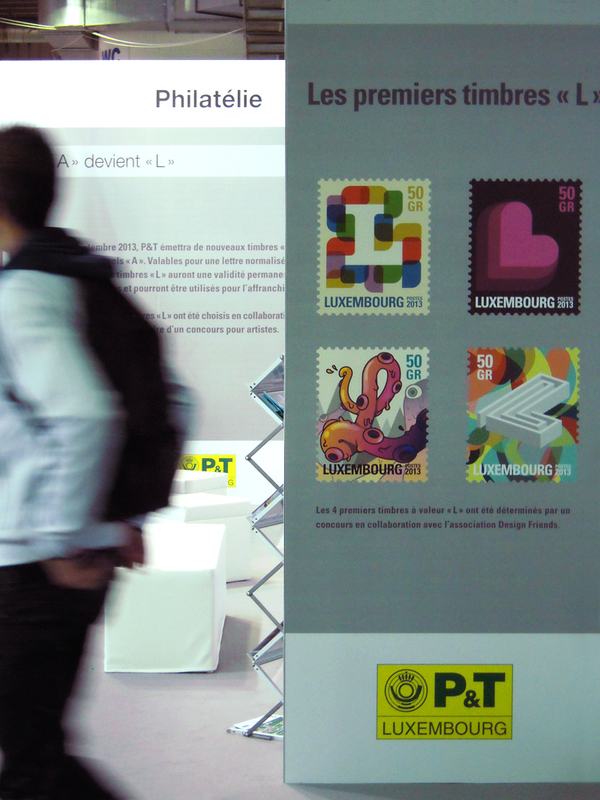 Auftraggeber: Postes Luxembourg. // Out now! Claudia’s stamp is now available. 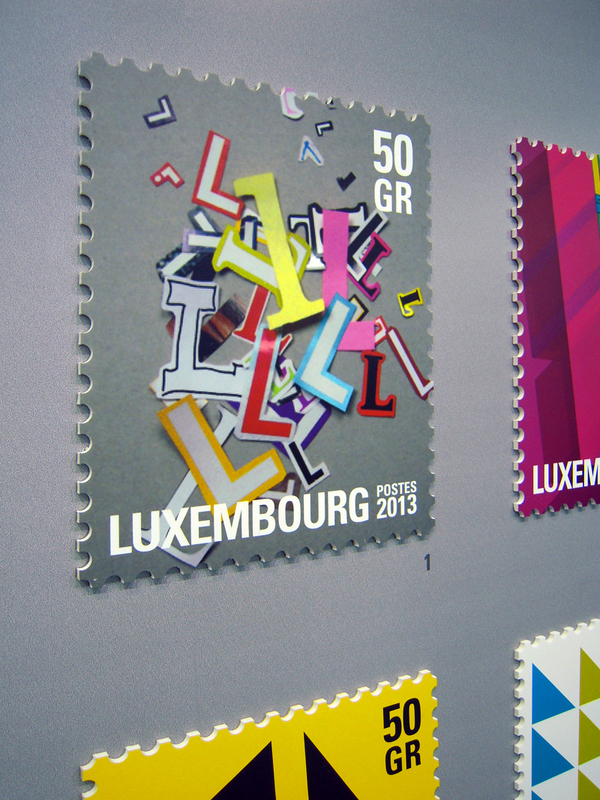 “L” replaces the actual stamp “A”. 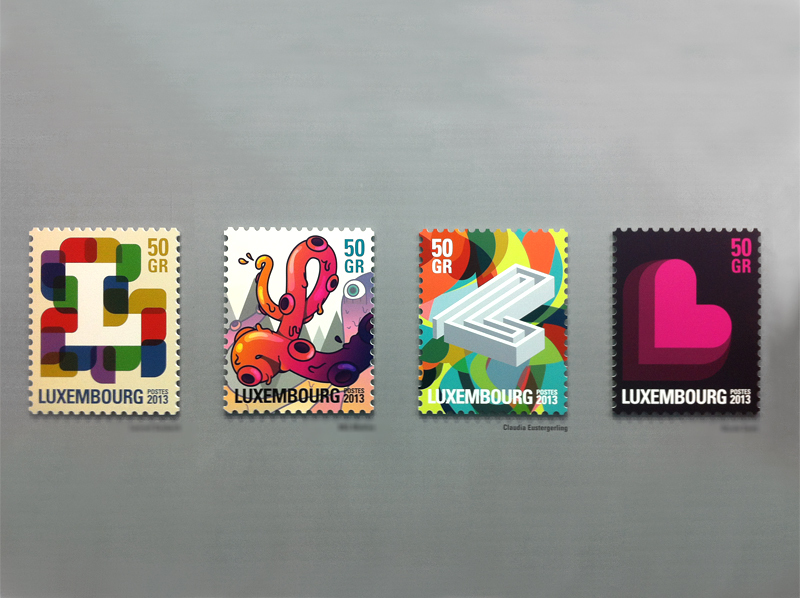 In 2013, the Office des Timbres (Post Luxembourg) got in touch with Design Friends for a collaboration on the new edition of their postage stamps series based on the typography theme “L”. 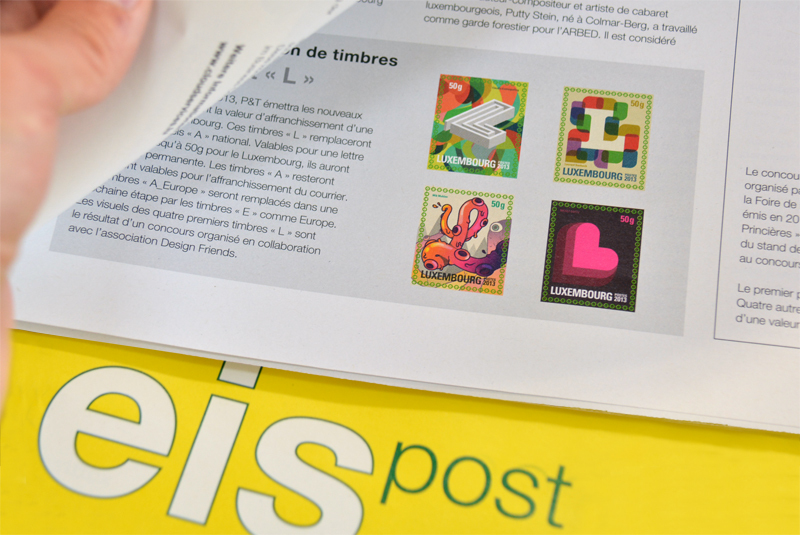 Together they chose 9 graphic designers among the Design Friends members’ list and invited them to participate in this project and submit each 2 projects for the “L” postage stamp. 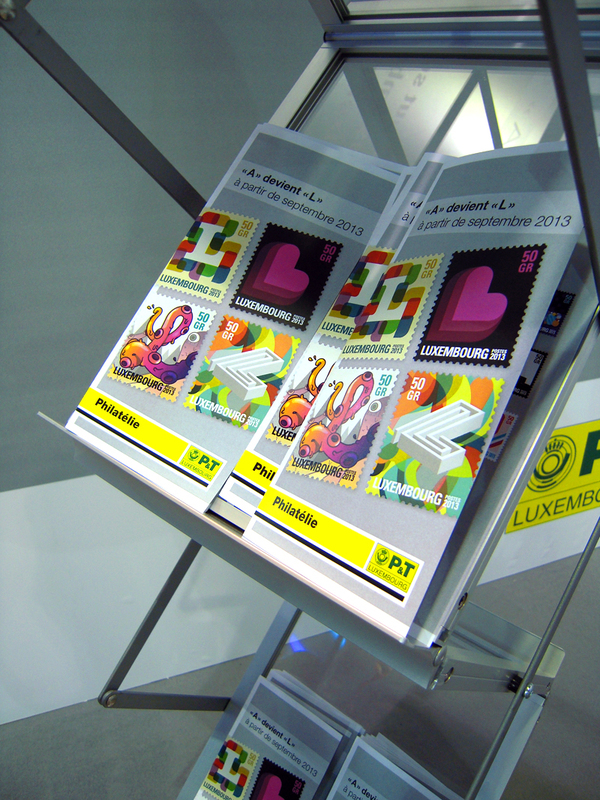 The jury awarded 4 winning stamps. 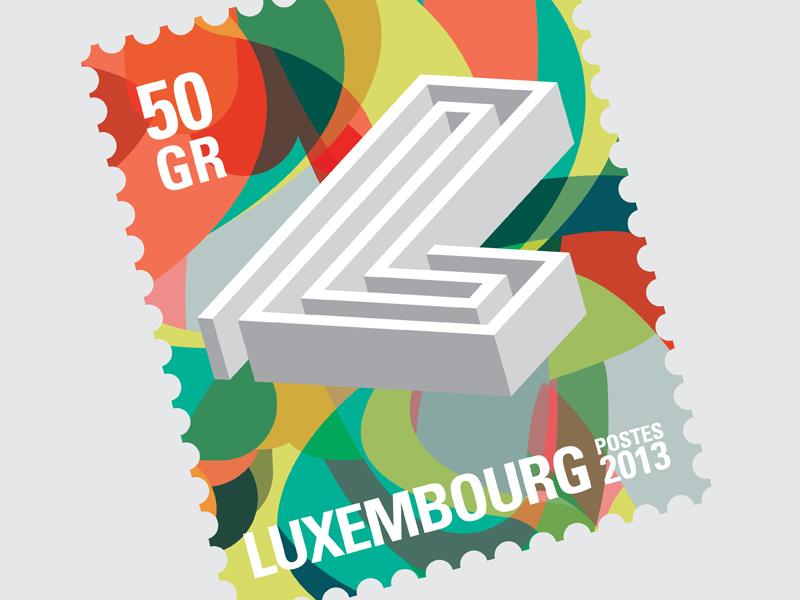 You’ll maybe find one of these designs on a letter.